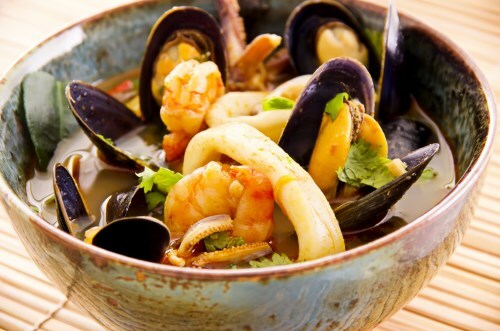 Stir in the shrimp, scallops, clams, mussels and crabmeat. Stir in fish, if desired. Bring to boil. Lower heat, cover and simmer 5 to 7 minutes until clams open. Ladle soup into bowls and serve!